It's only the beginning of New York Fashion Week's Spring 2017 shows and there have already been some seriously questionable accessory styling decisions. Socks and sandals. Oddball "hats". My eyes... I can't! Let's have a look at some of the most offensive accessorizing at New York Fashion Week Spring 2017, thus far. 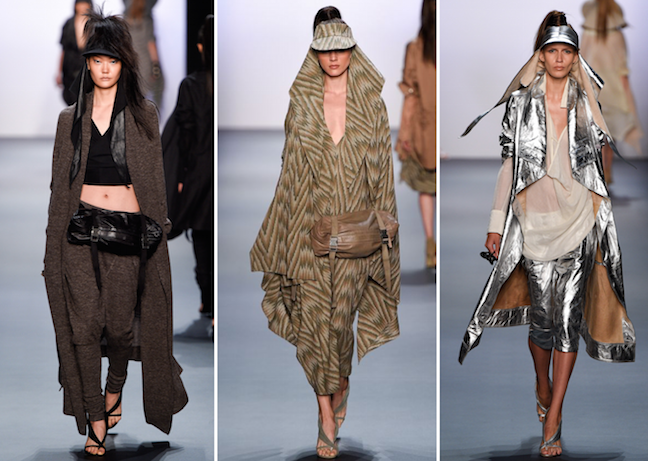 Don't get me wrong, I'm digging some of the clothing in Nicholas K's spring 2017 collection, but the WT visors (yes, WT is short for white trash) with the neck flaps is a distracting eyesore to say the least. I'm all for making a "statement" through fashion, but Public School's spring 2017 beekeeper inspired hats didn't do it for me. 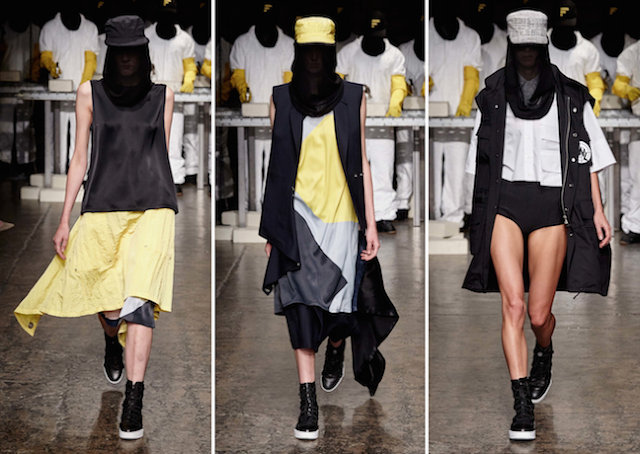 To read more about their spring collection's theme of urban revolt against the system, check out this review on Vogue. When it comes to the socks and sandals situation at Hervé Léger by Max Azria, I have mixed emotions. I love a ballerina inspired lace up stiletto as much as the next gal, but the fur stilettos with bubble gum pink knee high socks were a bit too "big bad wolf" for my taste. To get more insight on the unexpected accessory trend, socks and sandals, at New York Fashion Week Spring 2017, check out my article on Mode.